After falling for two straight sessions, the domestic equity market made a solid comeback on Tuesday amid heavy buying in select blue-chip counters such Reliance Industries (RIL) and bank stocks including SBI, ICICI Bank, HDFC Bank, YES Bank and Axis Bank. 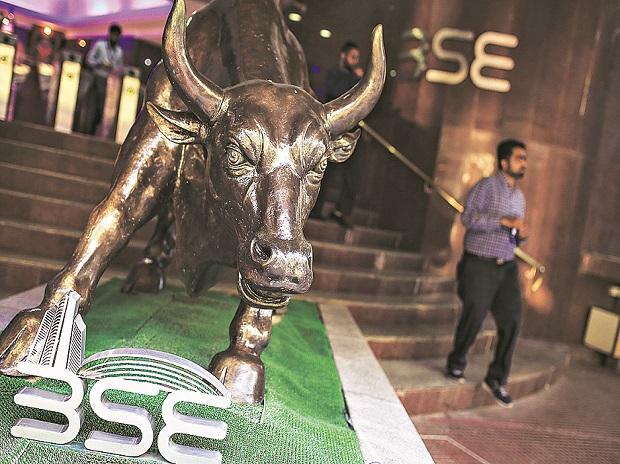 The S&P BSE Sensex rallied 425 points or 1.12 per cent to settle at 38,233.41, while NSE's Nifty50 index closed at 11,483, up 129 points or 1.14 per cent. Nifty Bank index jumped 601 points or 2.05 per cent to end at a record high of 29,882.15, with all the 12 constituents ending in the green. In the broader market, the S&P BSE MidCap index gained 163 points or 1 per cent to settle at 15,079 while the S&P BSE SmallCap index ended at 14,684, up 96 points or 0.66 per cent. Reliance Industries (RIL) jumped 3.16 per cent to Rs 1,367 apiece on BSE after its unit Reliance Retail (RRL) acquired consumer goods company ITC’s menswear brand John Players. Pidilite Industries hit a record high of Rs 1,239, up 5 per cent, in intra-day trade on the BSE on the expectation of healthy earnings growth. The stock, eventually, ended at Rs 1,227, up 4 per cent. Jet Airways ended over 6 per cent higher at Rs 271 apiece on BSE after Naresh Goyal, the Promoter and Chairman of Jet Airways, along with his wife, Anita Goyal stepped down from their positions in the board. Etihad Airways nominee Kevin Knight has quit the board too. Barring IT stocks, all the sectoral indices ended in the green. Nifty IT index shed 0.39 per cent to settle at 15,357, with 5 components advancing and the rest five declining.